PLUG IT IN AT HOTEL ARISTON! With a privileged position compared to other 3-star hotels in Milan, Hotel Ariston is located in the very heart of Milan. 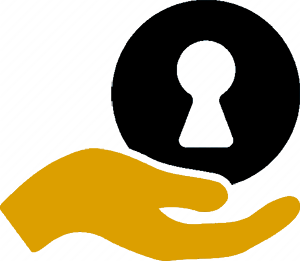 In Largo Carrobbio, at 5 minutes on foot from Piazza del Duomo and from the stops of the subway red line 1 Duomo (that in only a few minutes brings you to Fieramilanocity, green line 2 (Sant’Ambrogio), and to the New Fair at Rho) and yellow line 3 (Missori or Duomo). Also very well serviced by the tram (stops for 2, 3 and 14 are only 100 meters from the hotel), and by bus 94 that stops at 300 meters from Hotel Ariston. 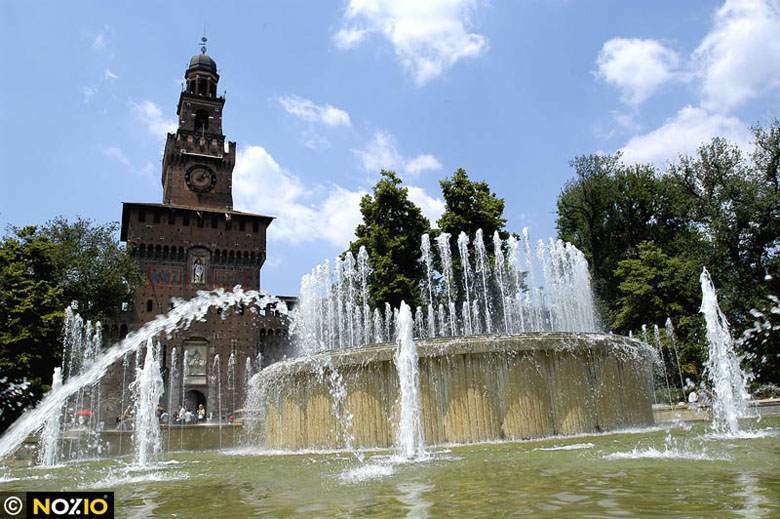 From Hotel Ariston and in just a few minutes and either on foot, with the very convenient free hotel bicycles for guests, or a few tramway stops, you will be able to get to the most renowned museums and monuments of Milan and to the famous shopping streets. Around the hotel, especially near the Duomo, you will find restaurants, pizzerias and movie theaters to spend the evening. Furthermore, for those who love nightlife, the very trendy Corso Como with its VIP places is at 10 minutes by car or taxi or can easily be reached by metro, green line 2 (Garibaldi stop). 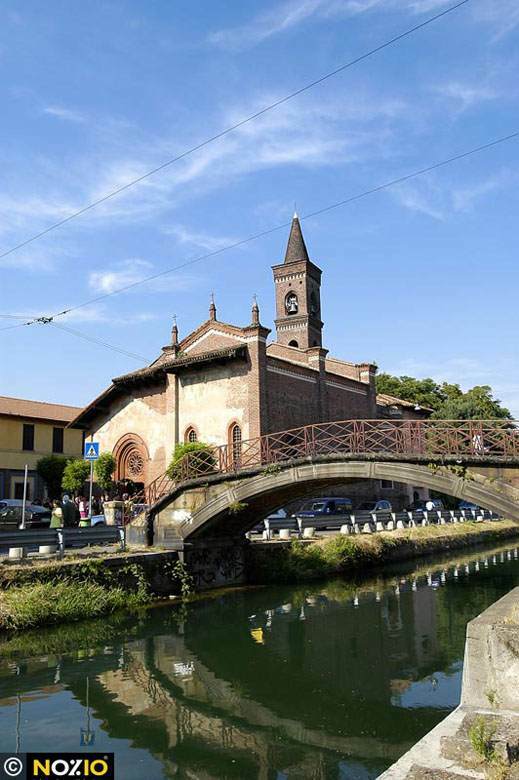 Situated near the new Darsena and Navigli district, with a vivacious nightlife that is animated every evening from happy hour to the later hours of the night. Take the no. 73X or 73 bus to Piazza S. Babila, then take the subway line 1 (red) for just one stop to Duomo. 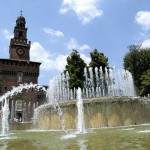 From Piazza Duomo, continue on foot to the Hotel Ariston, or take the no. 2, 3 or 14 tram for just two stops. By car, follow directions for Milano Centro Citta and take Viale Forlanini. Continue always straight on Viale Corsica, Corso XXII Marzo up to Piazza 5 Giornate. From Piazza 5 Giornate, turn on the left on Viale Regina Margherita continuing always straight on Viale Caldara, Viale Filippetti, Viale Beatrice Deste, Viale Gian Galeazzo, Viale D’annunzio with Piazzale Cantore. Here, at the traffic lights turn right on Corso di Porta Genova. Continue always straight up to Via Cesare Correnti. At the end of Via Cesare Correnti pass the lights and on your left you will find the hotel. Take the confortable and fast Malpensa Express train and get off at the Cadorna stop. Take the very convenient and fast Malpensa Express shuttle train and get off at Cadorna. Immediately at the station’s exit, take the subway line 1 (red) to Duomo. 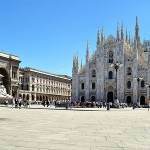 From Piazza Duomo, continue on foot to the Hotel Ariston, or take the no. 2, 3 or 14 tram for just two stops. From Milan’s Central Station, take the subway line 3 (yellow) and get off at Duomo. 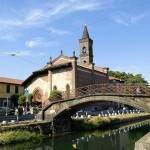 From Piazza Duomo, continue on foot to the Hotel Ariston, or take the no. 2, 3 or 14 tram for just two stops. From the ring road, exit at Viale Certosa, continue straight for Centro Città up to the end of Corso Sempione, turn right on Via Canova and continue straight on Viale Alemagna until you reach Piazzale Cadorna. Here turn right on Via Carducci and continue straight on Via de Amicis, at the end and at the lights, turn left on Via Cesare Correnti, pass the lights. The hotel is on the left of Largo Carrobbio. Public taxis are available at the stations, or a limousine service can be reserved on request at the hotel. The hotel offers its guests the free use of bicycles fitted with all sorts of accessories for getting around downtown Milan: a city waiting to be discovered! At 5 minutes on foot: Piazza Sant’Alessandro with Palazzo Trivulzio and the Baroque Church of Sant’Alessandro, the Roman Columns and the Basilica di San Lorenzo Maggiore in Via Porta Ticinese, the Studio-Museum Francesco Messina (at 50 meters from Hotel Ariston). 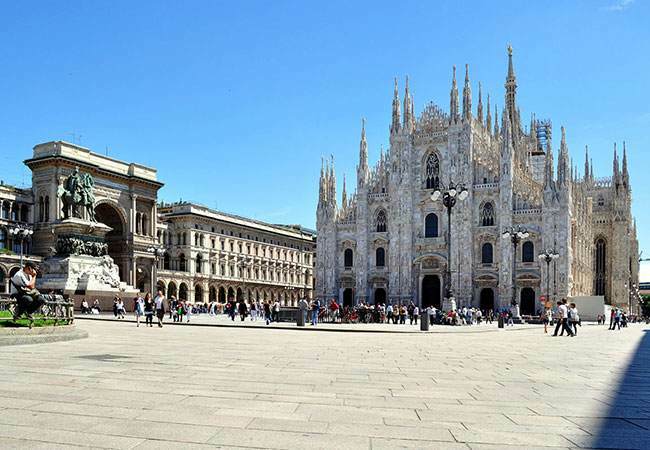 From Hotel Ariston and a 5-minute walk, strolling along Via Torino, or with two stops of tram number 2, 3 or 14 you get to Piazza del Duomo, the historic and artistic heart of Milan where the Gothic Cathedral dominates the square and the Palazzo Reale houses a museum and important exhibitions. Only a few more steps and you will have reached Piazza della Scala where the famous Scala Theater stands. 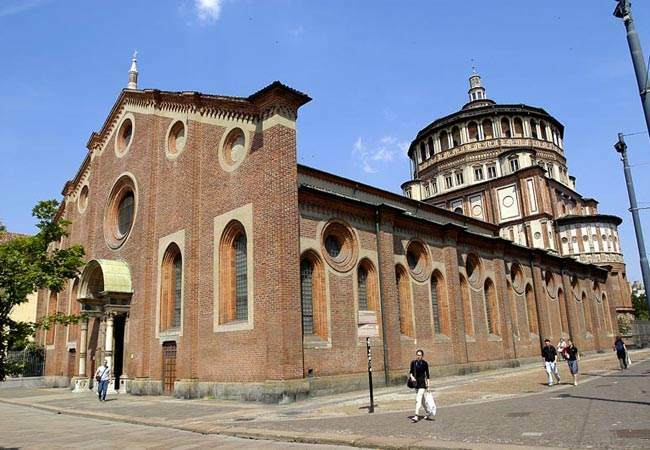 Full of charm and rich in works of art, the Basilica di Sant’Ambrogio is at 10 minutes walking distance from Hotel Ariston. 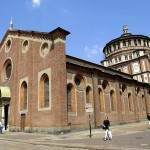 Ten more minutes of walk or 5 minutes on tramway 16 and you will reach the refectory of the beautiful Santa Maria delle Grazie Church where you will be able to admire the Last Supper of Leonardo. Via Torino and Corso di Porta Ticinese are streets that cross Largo Carrobbio where Hotel Ariston is located. Here there are many stores catering to those that love shopping for casual clothing and accessories. In Piazza del Duomo and in Corso Vittorio Emanuele up to Piazza San Babila, and in Galleria Vittorio Emanuele you will find boutiques, bookstores and big stores to indulge in elegant and cultural shopping. From Piazza del Duomo, you reach the heart of fashionable and exclusive shopping: the Quadrilatero della Moda (Fashion Quadrilateral). 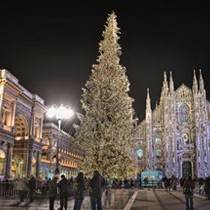 Boutiques and show rooms line the more elegant streets of Milan in a succession of top international designer houses.